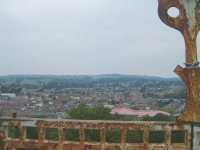 A nyone who lives in Oswestry, or visits the town, can't help but notice the large house with a tower sitting on top of a hill and visible from all around the town. The 'stripey' house as it was once described to me by the local Council's archivist, who saw it every day as she drove to work. The house is called Ardmillan, which means the ' high bare place ' in Scottish Gaelic (Aird a'Mhaolain). It was built in 1879 for my great great grandfather, John Thomas, and his large and growing family. Born in 1828 the son of a farmer, John spent most of his childhood in the village of Llansilin, but moved the few miles to Oswestry to continue his education and spent the rest of his life in the town. His Welsh ancestry was never forgotten though, and a local newspaper described him as ' a pronounced Welshman, and no son of Wales was prouder of the traditions of his historic country than he '. By the time Ardmillan was being constructed John had become one of the most successful businessmen in Shropshire. He was a maltster with malthouses in many towns from Oswestry to Shrewsbury and as far away as Tewkesbury and Abingdon. It was reported that at one time, judging by the amount of duty paid, his was the largest business of its kind in the country. John's business career began when he was in his early twenties with his first malthouse in Beatrice Street, Oswestry. Over the years, as his business flourished, he felt a desire and maybe a responsibility to put something back into his local community. He became actively involved in politics and was an ardent Liberal - which led him to serve as a Councillor and Alderman on Oswestry Town Council for 30 years, from 1862 until his death in 1892. Additionally, when the Local Government Act was passed in 1888 creating the county councils, John became an Alderman of Shropshire County Council on its formation. At the age of 40 John became Mayor of Oswestry for the first time, an honour which was to be repeated over the next few years and he subsequently became the first person to be elected Mayor of the town four times. Undoubtedly his business acumen and financial expertise were major assets to the Council and his fellow Councillors said they always looked up to him as their great financier. Through his business John became a familiar figure in the corn markets of Oswestry and Shrewsbury. The practical experience he gained from his own business led him to take a deep interest in the town's markets and throughout his years on the Council he devoted most time and energy to this subject. He championed the expansion of the markets both in terms of their size, with the enlargement of the Powis and Cross Markets , and in their frequency. It was on John's initiative that the move to introduce weekly markets in Oswestry started and he argued strenuously for his views in spite of strong and determined opposition. His commercial instincts were sound, though, and on their introduction weekly markets were immediately highly successful, adding greatly to the town's prosperity. His contemporaries always described John as a man of principle. If he believed in something he would argue passionately for it rather than back down for the sake of an easier life. ' He had the power to see a thing and he had the pluck to stick to it ' as one of his fellow Aldermen said of him. Those who knew John described him as having a ' simple, unpretentious naturalness '. Throughout his life he was a generous contributor to many public funds including the building of Oswestry's new Guildhall . 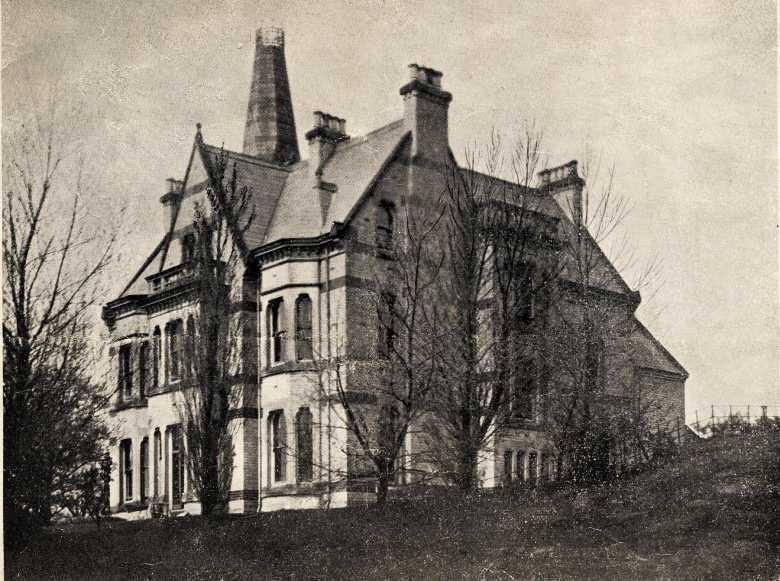 In 1861, at the age of 32, John married Ann Jones from Welshpool and they lived for many years in Castle Buildings, Willow Street where ten children were born. Sadly though, over a period of 3 years in the middle of the 1870s, three of their daughters died at a very young age. Perhaps this was at least a part of the reason why John decided it was time the family moved away from some of the sad memories to a brand new home. The site he chose for his new house was on top of a hill and it was a house to be proud of, a very visible testament to John's standing in the community. 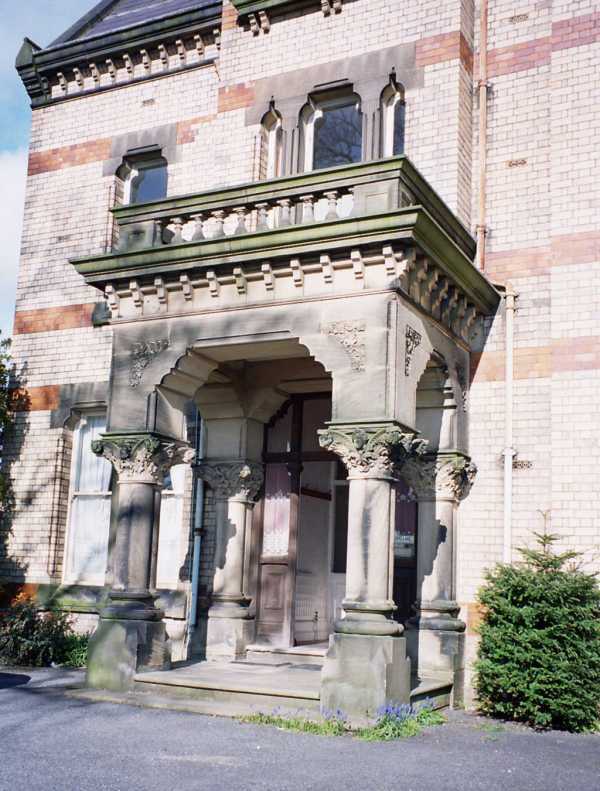 The Victorians were immensely proud of their achievements and success in creating wealth and by building Ardmillan in such a prominent position John showed himself to be a true Victorian. While Ardmillan was being built, John was busy serving a 2 year term as Mayor of Oswestry. Sadly he and Ann had lost a third child with the death from diptheria of 5 year Elizabeth Maud within days of John's re-election as Mayor in November 1878. So it must have been a devastating blow when, less than a year later, their 12 year old son Robert Gilbert died just 2 weeks after John's term as Mayor ended in November 1879. John and Ann had now lost 4 children in 4 years. Robert died while Ardmillan was still being constructed, and it is possible his death at this time might have caused John to change the design of the upper part of the house while it was still being built. I will come back to this in a moment when I describe the inside of the house, but this young boy's death may have had a direct impact on the appearance of the house we now know. Today there are modern houses built almost up to Ardmillan, but the house originally sat on top of the hill surrounded by extensive formal gardens and further land. The two black & white views of the house ( SE side - West side ) are from a sales leaflet produced in about 1921 when the house was sold by the Thomas family. Approached by a long winding drive from Middleton Road, Ardmillan was set in 5 acres consisting of a terraced garden in front of the principal rooms, a tennis lawn, two Kitchen Gardens and Pasture land. There was also a field in front of the house of about 4 and a half acres. The sales leaflet shows the house originally had 4 reception rooms, 9 bedrooms and dressing rooms and 2 kitchens. The separate Coach House had stabling for 3 horses and a Harness Room. The driveway leads up to the main entrance with its elaborate portico and four columns. 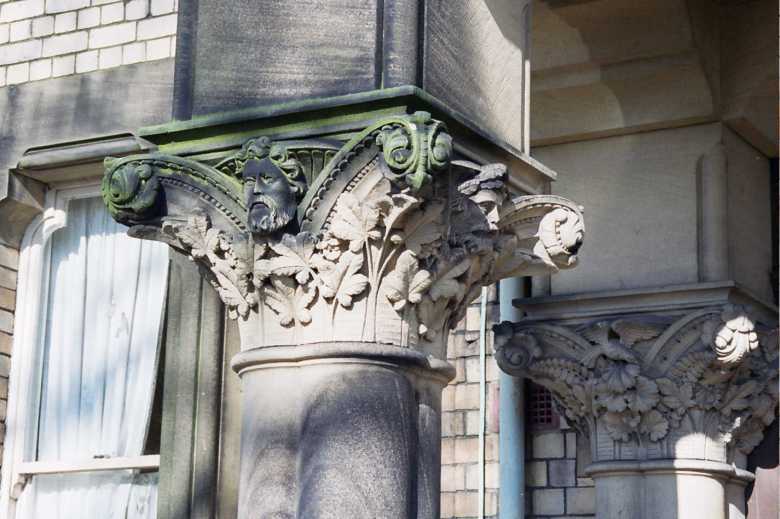 The columns all have intricate carvings at the top - the front two have male and female heads, each one different, and the back two have birds and mice entwined around leaves. 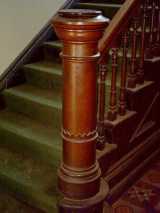 A plaque on the wall near the front door tells you the house was built in 1879. 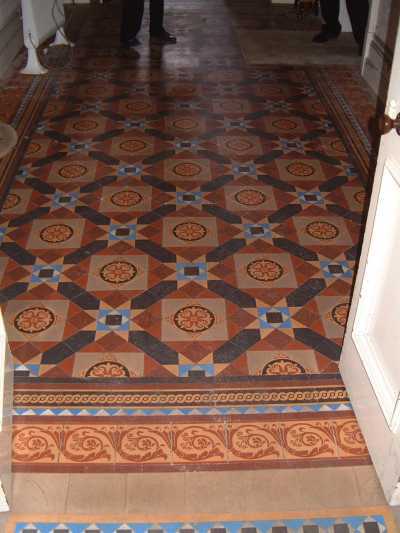 Many original features remain at Ardmillan and as you walk through the original front door and lobby area you come to the main hall with its tiled floor . 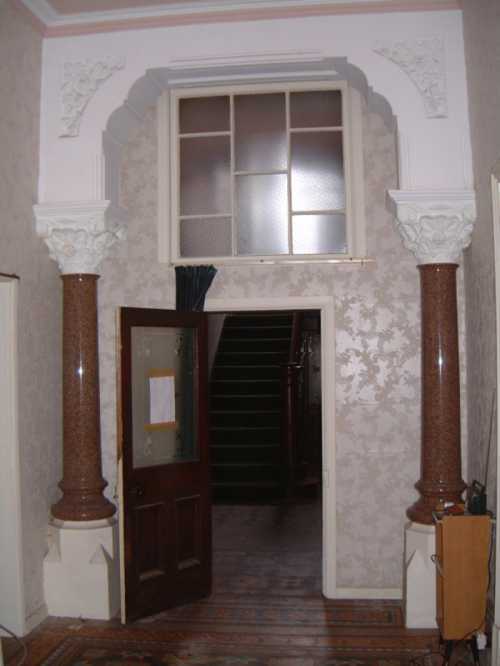 Ahead of you are two polished rose coloured granite pillars with a matching pair on the other side of the partitioning which was put in when the house was divided into flats. There are very high ceilings throughout (about 15 feet high) and the south facing main reception rooms would have had views across to the Shropshire hills from their deep bay windows. The house would have been lit by gas when it was built and a large gas lantern would have been fitted on top of the newel post at the bottom of the main staircase. You can see 5 filled in holes where this would have been. Upstairs is as spacious as the ground floor and the bedrooms are spread over the two upper floors. From the second floor a staircase leads up to the tower but there is evidence that the plans were changed during the course of construction and the tower may not have been planned originally. In the last couple of years an extra 'hidden' room has been discovered on the second floor. 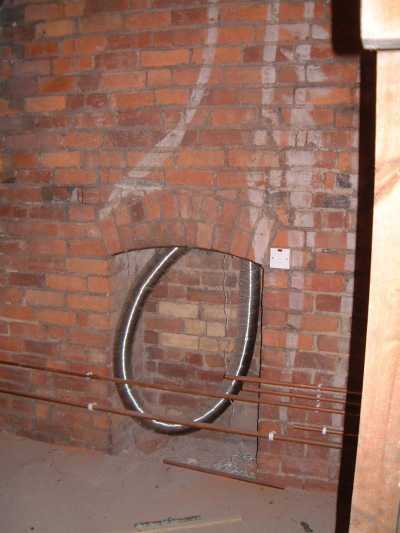 From these pictures you can see this room was never plastered but it had a fireplace and there was a doorway leading into it, which was later bricked up. 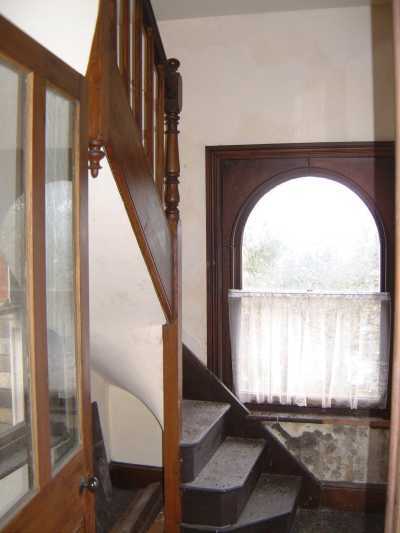 When the tower was added, the curving staircase leading up to it took up part of this room. The doorway into the room was bricked up and no-one has been in here for 125 years. There are other clues which suggest that adding the tower may have been an alteration made during construction. 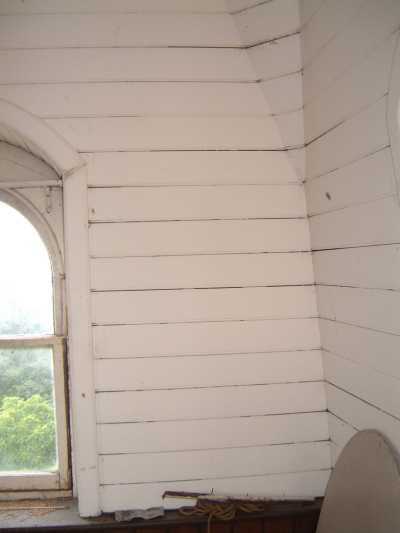 For instance inside this newly discovered room you can see, in the top right hand corner of this photo , some of the glazed brick with its distinctive dark stripes used on the exterior of the house. 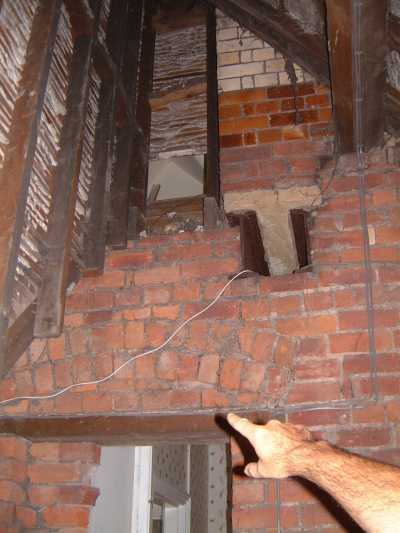 Also on the other side of the tower you can see similar external bricks inside the attic. So why were the plans changed? Well it may just have been something that evolved during the building work, but I wonder whether the bricked up room might have been intended for Robert, the Thomas's 12 year old son who had died while the house was being built. Rather than leaving an empty room, I think that John may have changed the plans and had the tower added, giving Ardmillan its very distinctive look today. 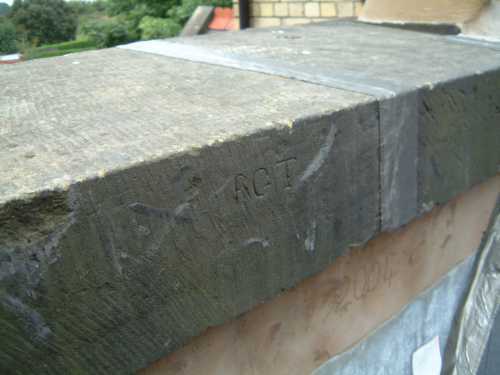 A further clue is the recent discovery of a set of initials, 'RGT', carved into a stone lintel forming part of the roof just outside the room next to the hidden room. They look as though they were carved by hand possibly even by John himself. They could hardly be in a more private or discreet place and have remained unknown to virtually anyone but the Thomases until very recently. 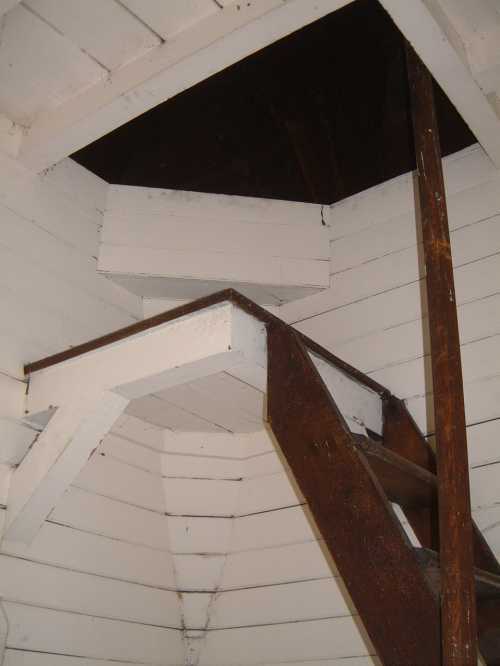 The tower itself has 2 levels with a small staircase to the upper level, and the inside of the tower is constructed of wooden boards. You can see for miles through the windows and it's possible to climb up a ladder to the very top of the tower and look out of the top and this is the sort of view you would see. After moving into Ardmillan John and Ann had three more children - a total of 13 altogether although only 9 survived to adulthood. 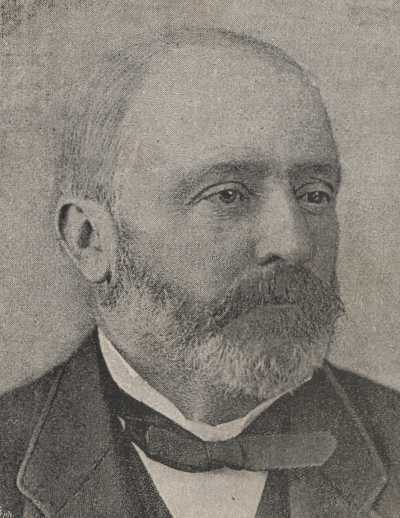 John was elected Mayor for a fourth time in 1888 and an Alderman of Shropshire County Council on its formation in January 1889. 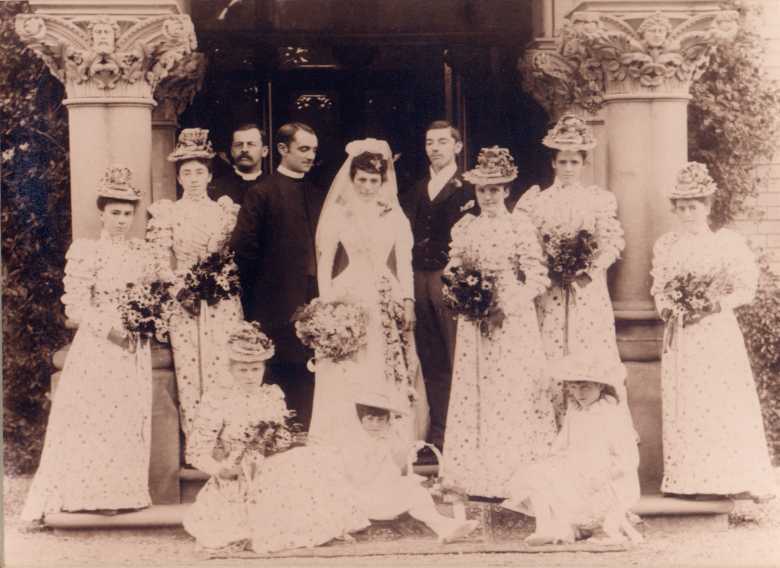 In the summer of 1891 the Thomas's eldest daughter, Edith, was married at Holy Trinity Church , Oswestry to a former curate at the church. The wedding group were photographed at the entrance to Ardmillan where the reception was held. The bridesmaid standing next to the bride and the two at her feet are her younger sisters. Edith was the only daughter John saw married from Ardmillan as, a year later in August 1892, he died after a short illness. Just a few weeks before his death he took part in a ceremony to lay the foundation stone of the new Guildhall in Oswestry by the then Mayor Alfred Wynne Corrie. Throughout his life John had always been extremely conscientious and it was typical that, as Deputy Mayor, he insisted on delivering his speech himself despite it being against his doctor's orders. As the Oswestry Advertizer later remarked, these were his last words in public and he died of heart related problems just days after his 64th birthday. 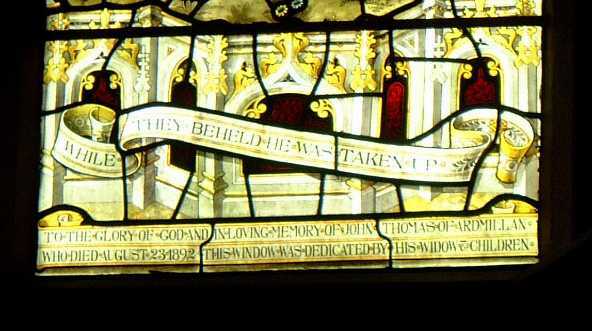 There is a lasting tribute to John in Holy Trinity Church Oswestry where one of the three tall windows behind the main altar was dedicated to his memory by his widow and children. After John's death his businesses were gradually sold as none of his sons, including my great Grandfather Thomas David who was the second son, wanted to continue running them. John's widow Ann continued living in Ardmillan with their children until 1904 when she moved to London to be near one of her married daughters. 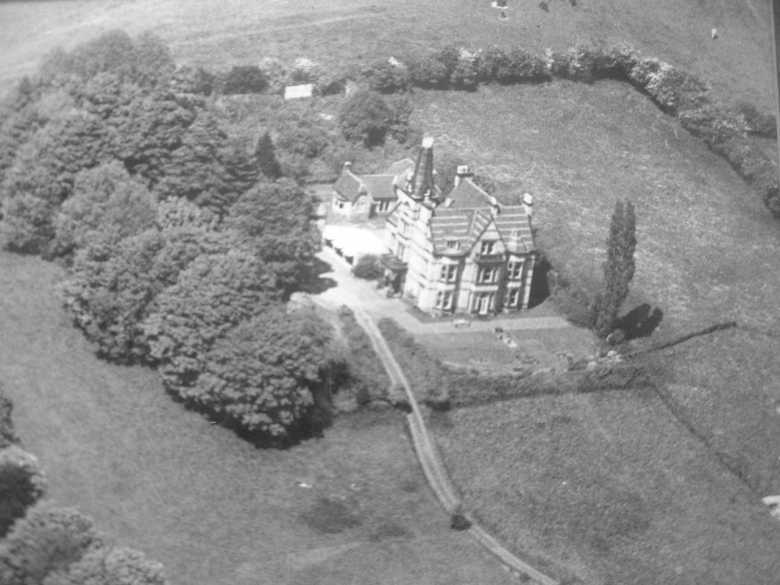 Ann still owned Ardmillan but it was rented for several years until the outbreak of the First World War when the house played a role in the war effort. For a period of 3 years Ann lent Ardmillan for use as a hospital for wounded soldiers. The British Red Cross organised and staffed auxiliary military hospitals on a county basis and on 7th December 1915 the house became Ardmillan Auxiliary Military Hospital. 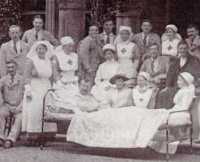 There were six wards, each with five beds, a small Theatre and Surgery and the usual day and mess rooms. In the summer months tents were erected in the gardens providing an extra 16 beds. Three Medical Officers were in attendance and the Staff consisted of a Sister-in-Charge, 2 trained Nurses and 6 V.A.D. members as well as Probationers and a few helpers. There was even electrical treatment provided by a Certificated Masseuse. Most of the patients were surgical cases from France. It is a long journey from the trenches in France to Oswestry, particularly in wartime conditions, but with overwhelming numbers of wounded troops being sent back from the frontline, it became necessary for all sorts of large buildings to be requisitioned as hospitals. In total there were 314 admissions to Ardmillan Hospital staying an average of 41 days, however only one death was recorded. On 12th April 1917 Lance Corporal Charles Gathergood suffered a shell wound in his right thigh, which was subsequently amputated. He was transferred back to the UK to Ardmillan Hospital four days later and died there from his injuries on 20th April. 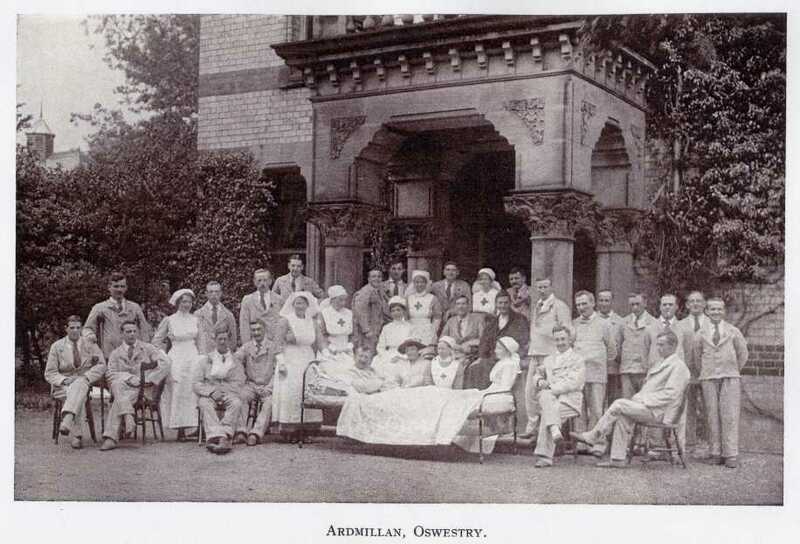 After the end of the First World War Ardmillan continued to be rented but with the death of Ann Thomas in 1921 the house was inherited by her eldest son, Llewellyn, who sold it soon afterwards. I have been told that a naval commander bought the house and some local residents have childhood memories of being allowed by him to use their toboggans down the steep hill when there was snow in winter. At some point in its history Ardmillan is reputed to have been a maternity home and a previous owner has talked of many people coming to see the house where they were born. However, perhaps one of the biggest changes to Ardmillan took place in 1960 when new owners, aided by an architect, converted the house's many rooms into several flats. 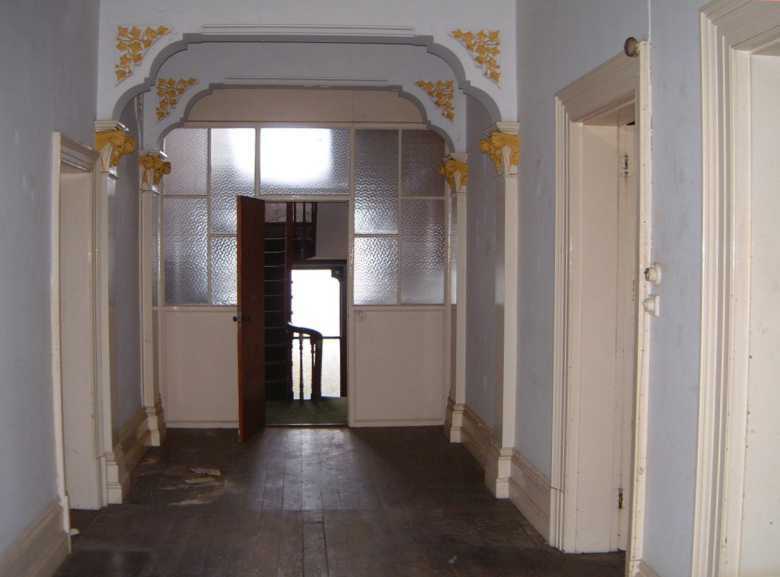 After alteration to some door entrances and installation of partitioning to the main staircase area, the main part of the house was turned into three self-contained flats, one on each floor. The portico and front door now gave entry only to the newly created ground floor flat, which is where the new owners themselves chose to live whilst renting out all the other accommodation. At the back of the house two more flats were created from rooms that would presumably originally have included a kitchen, scullery and upstairs some servants accommodation. Each of these two flats had its own separate outside entrance with the house's simpler second staircase now leading up to one of these two new flats. The separate former coach house and stables were turned into a house. One couple who lived in the top floor flat of Ardmillan at the end of the 1960s remember how cold it could be up there in the winter. With no central heating installed at that time they remember ice covering the inside of the bedroom windows in the winter months and they moved their furniture onto the landing to escape the draughts. When their father-in-law visited he slept on the sofa and in the morning they discovered him with more clothes on than when he arrived in Oswestry! In 1978 a planning application for residential development on much of the land on the hill surrounding Ardmillan was submitted to the Council. After much discussion about the consequent need to fell many of the trees that had created " an impressive and mature vista above Oswestry's landscape for hundreds of years ", a compromise plan for partial development was recommended. Over the next few decades Ardmillan remained converted into several flats but by 2004 its story came almost full circle when it was bought by new owners, who have turned it back into a family home again, with just the back part of the house remaining as two flats. A major programme of refurbishment is currently under way and necessary repairs and redecoration, as well as the installation of a modern heating system, will bring the house into the 21st century. By an amazing coincidence Ardmillan's 21st century owners have discovered a link with its earliest owner. 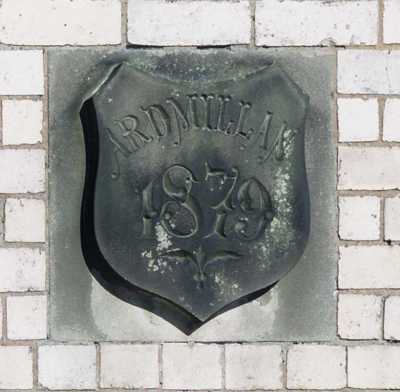 In the 127 years since that day in September 1879 Ardmillan has had quite a varied history but it is today what it was then, a family home, and a house built to last. Jackie had been familiar with the story of Ardmillan and the Thomas family ever since it was proudly recounted by her grandmother but it was not until the year 2000 that she could visit Oswestry and delve deeper. 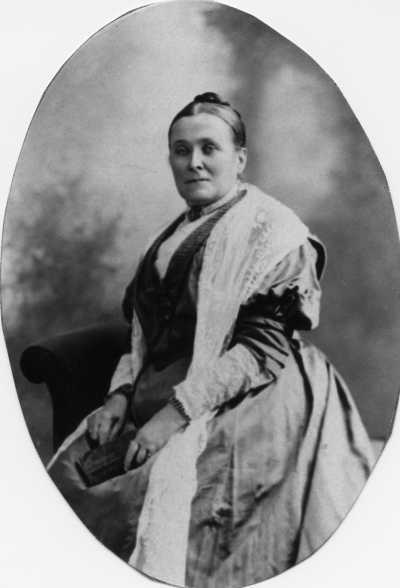 She is descended from John and Ann Thomas's second son who left Oswestry shortly after his marriage settling eventually in the Liverpool area. 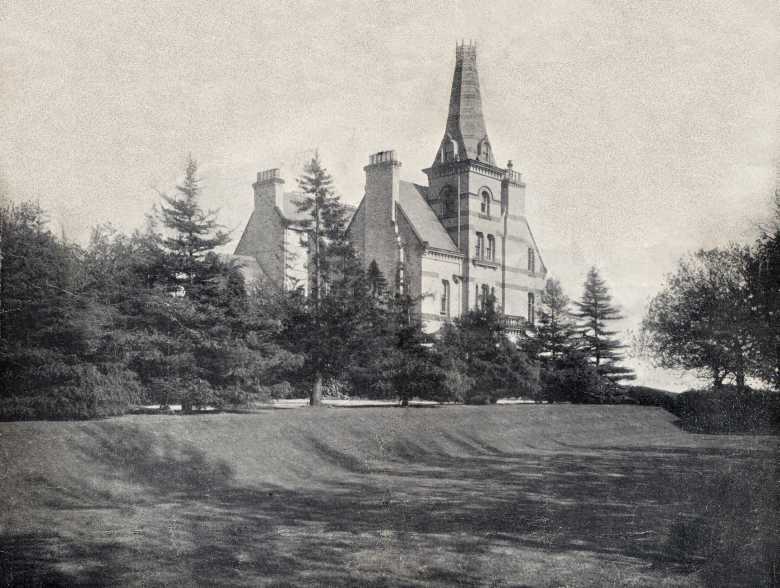 On her first visit she was even uncertain as to whether Ardmillan House had actually survived to the 21 st century but with valuable help from the Guildhall archivist, Oswestry Library and newly found relations she discovered much more about the lives of her Victorian forbears and traced an ancestry back to a Bleddyn ap Cynfyn Prince of Powis in the 11 th century. Jackie feels strongly that the story of John Thomas and Ardmillan represents the best of Victorian values and achievements in her family and is a story that should live on for future generations to enjoy and appreciate.